It Came From the Atomic Age Set is available now! Final week for my newest set! Thanks to everyone from the boards who has pledged so far! I was delighted to find the kickstarter in time to pledge! Got my Sherlock Holmes set a few days ago and it is truly a beautiful card series (as is It Came From The Atomic Age which I got awhile back). Keep up the great work Studio Hades! My new Etsy store is now up and I will gradually begin transitioning off of eBay and to places like OpenBazaar when it goes live in the fall. See You At the Fair has now launched on Kickstarter! New Year's cleaning this week and over the next few weeks i'll be listing some of the original art for See You at the Fair and Arthur Conan Doyle Characters sets. The first of the Arthur Conan Doyle Characters sets original art has been listed this week, starting with the three Holmes cards. More Arthur Conan Doyle Characters sets original art has been listed, about 50% of the art has now sold. Some Prisoner (1967) Sketch cards listed this week. I'll be listing some more non sports over the next weeks. 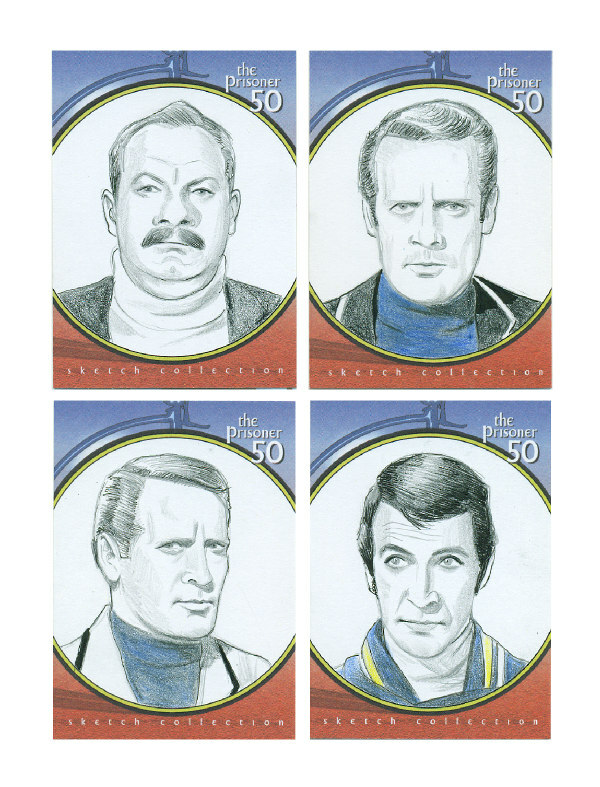 More Prisoner (1967) Sketch cards listed this week!